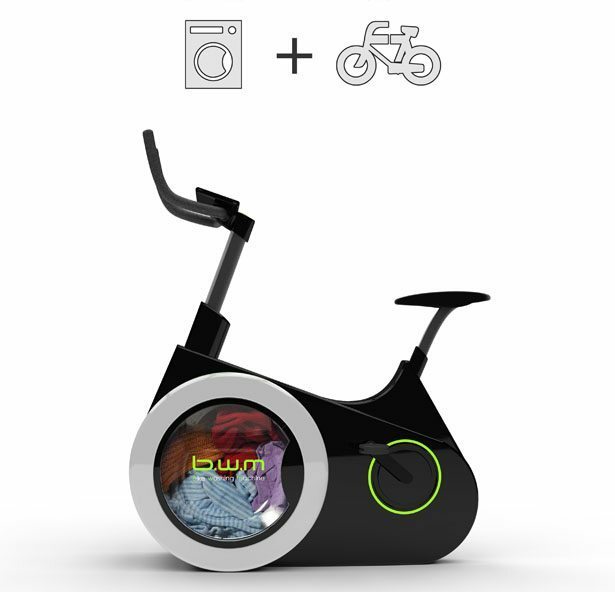 What's next, a rowing machine whose flywheels spin a clothes dryer? 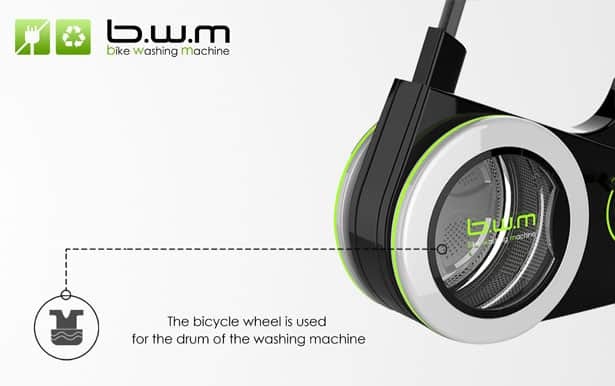 According to trueactivist.com, the Bike Washing Machine (or "BiWa") is an invention created by students at Dalian Nationalities University in China. The plan is simple: pedal power rotates the front wheel, which is a clothing drum of the sort found in conventional washers. Excess energy goes to powering a screen that indicates the wash cycle's progress. The extra energy can also be stored for future usage. but that's your built-in arm workout. The design is still a prototype, but it's a brilliant one. Since around 80 percent of Americans don't get a decent amount of physical activity, this could be a great way to have your cake and burn it off too. Plus, the lack of necessary quarters, time spent en route to / at the laundromat, and larger volumes of water required for conventional washing machines are all bonuses that help your wallet, schedule, and even the overall environment. Here's to seeing more great mash-ups of utility in the future! Yes, of course, off-the-grid hippies already do this. But yours would be indoors during the winter.